Not selling at our fall sale but still want to shop early? Our VIP Presale is for you! The VIP Presale for the Elizabethtown Fall 2016 sale will be from 7-9 PM on October 19 and anyone may purchase a ticket. Sellers DO NOT need to purchase a ticket because sellers will shop before the VIP Presale. Sellers who upgrade to Preferred Seller status by helping out at the sale will shop EVEN EARLIER! 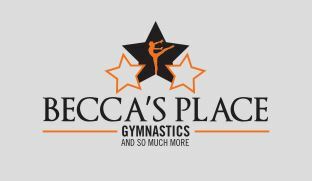 Our VIP Presale Sponsor is Becca’s Place Gymnastics! They offer gymnastics and so much more! At Becca’s Place, gymnastics is more than just sport. It is a vehicle to teach some of life’s most important lessons – lessons of love, teamwork, friendship and faith. From recreation to competitive, our USAG certified coaches and staff are encouraging, loving and make every child feel important. Let your child experience the benefits of gymnastics in a safe and fun environment. For health, well-being, physical fitness and fun – experience Becca’s Place. It is gymnastics and so much more. Every adult shopper at the VIP Presale needs to have their own ticket. Tickets are $12.50 and $5 from every ticket will be donated to Make-A-Wish. Tickets can only be purchased online here on our website in advance. No tickets will be sold at the door. No adults will be admitted without a ticket. Tickets are limited. Once the VIP Presale has filled, no additional tickets will be sold. Please take care to purchase your ticket for the sale closest to you, tickets must match the sale you want to shop. Nothing will be sent to you via email or postal mail! Please print and bring your Paypal receipt. It will serve as your ticket. Make-A-Wish® grants the wish of a child diagnosed with a life-threatening medical condition in the United States and its territories. Too many families that are part of Kentucky Kids Consignment Sales have had to experience these diagnoses. We recognize that a wish come true helps children feel stronger, more energetic, more willing and able to battle their life-threatening medical conditions. For many, the wish marks a turning point in the fight against their illnesses. Doctors, nurses and other health professionals say, the wish experience works in concert with medicine to make their patients feel better emotionally and even physically. That is why wishes matter. We want to help grant wishes.